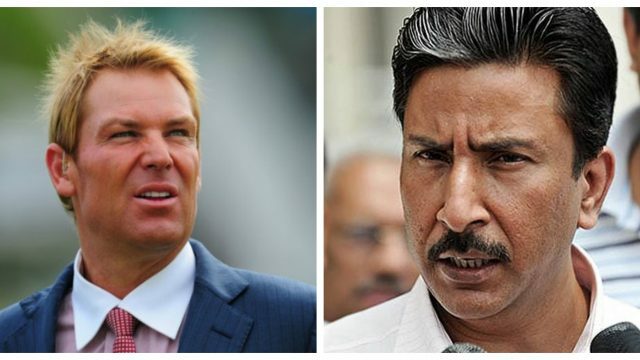 Pakistan Today – MELBOURNE: Australia spin legend Shane Warne alleged that former Pakistan captain Saleem Malik offered him a bribe to bowl badly in a September 1994 Test between the countries in Karachi, reported the Daily Star. MELBOURNE: Australia spin legend Shane Warne alleged that former Pakistan captain Saleem Malik offered him a bribe to bowl badly in a September 1994 Test between the countries in Karachi, reported the Daily Star. Speaking to Indian news channel NDTV, in connection with his recently published autobiography ‘No Spin’, Warne spoke about one of the earlier incidents of “attempted match-fixing” in cricket. That’s the bottom line of what he asked,” Warne was quoted by the Indian news website as saying. While the approach from then Pakistan captain Malik was known since 1995, Warne’s latest utterance on the issue revealed the amount that was at stake and the way in which the approach was made. Warne took his fourth five-wicket haul in the innings while Malik scored 42.